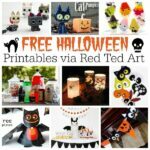 Looking for Free Halloween Printables? 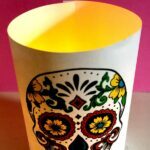 We love the Day of the Dead celebration – I love the idea of celebrating the people who have passed, rather than mourning them… and to combine that ghoulish fascination with a burst of colour and fun. 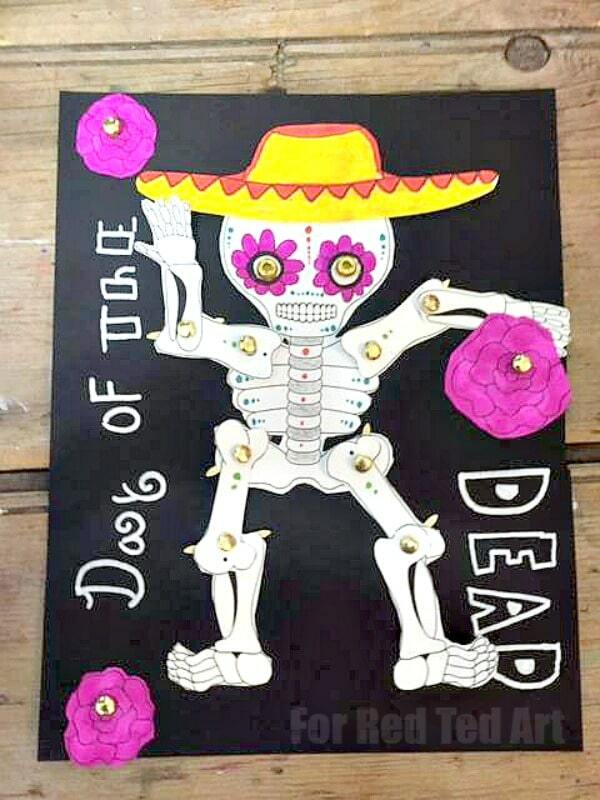 We have shared a number of Day of the Dead DIYs in the past.. and have another one for you today – a Day of the Dead Paper Puppet, complete with skeleton template!! 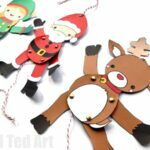 I know you have seen our Elf Paper Puppets (and probably our Bat Paper puppets too? 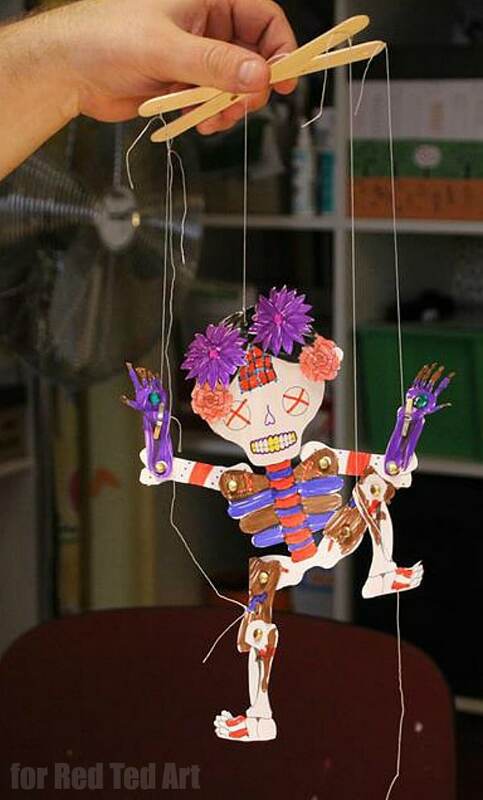 ), but what I REALLY like about this Skeleton Puppet DIY, is that you can customise it as much or as little as you wish. 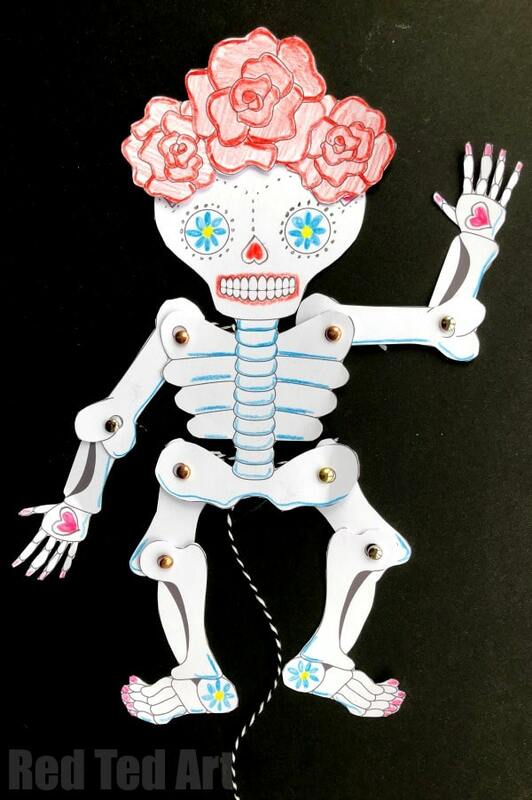 I have created a basic Skeleton Paper Puppet Template for you – that you can embellish with flowers and hearts and anything you wish… AND it has an additional printable page – with Day of the Dead accessories – such as roses, marigolds, top hats and hair pieces. Add as much as little as you like… or maybe don’t “glue on your accessories”, but use blue tack… then you can swap them out to your heart’s content!!! Brilliant. 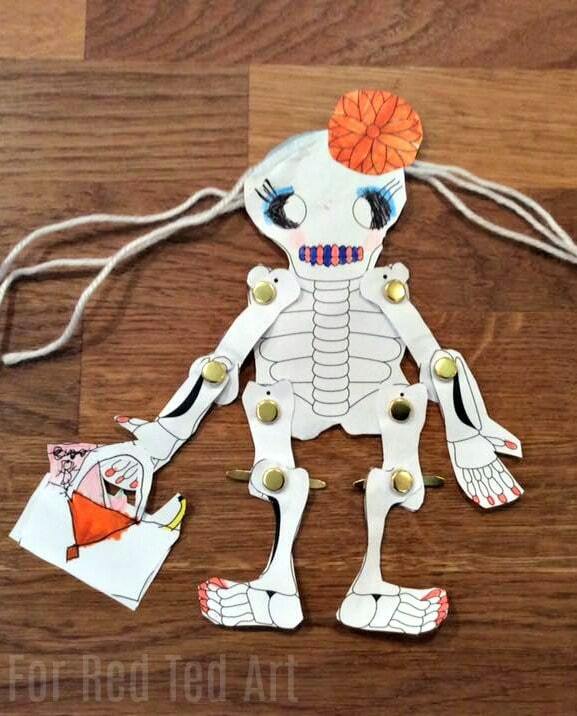 How we love a Paper Puppet Template!!! Yay. 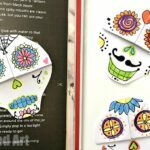 These Day of the Dead Paper Puppets were first shared in October 2017 and have been updated and republished for your convenience. 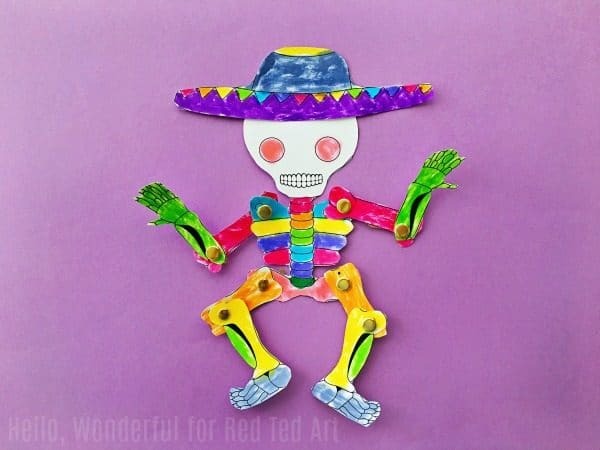 I love how all the Paper Puppets here on Red Ted Art are different – some you can just print, cut and assemble, others make – others provide you with a template to cut our your own “pieces” in the colours that you like.. and today’s is kind of a combination of both. 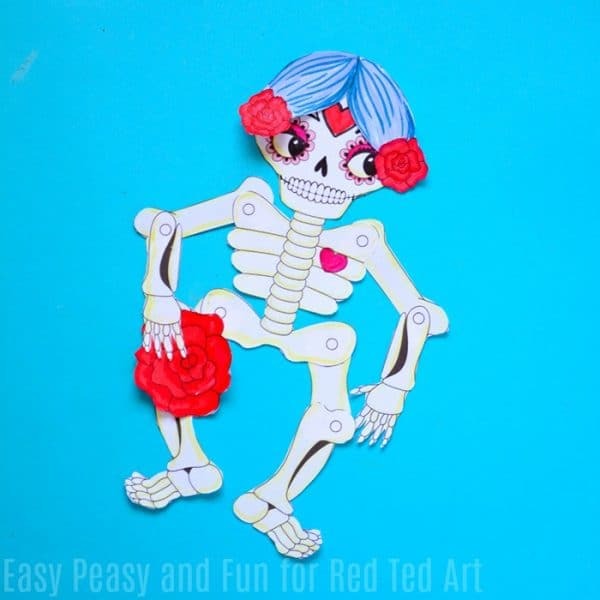 You can print and assemble “as is” (but then you only really have a Skeleton Paper Puppet – which is still cute and great for Halloween in general, but not very Day of the Dead ish!! Ha). Or, you can print and then have LOTS of FUN customising it with your own colours, and decorations, as well as make use of the fun Day of the Dead accessories we have created for you (there are 2 hats, a hair piece and lots of flowers – your cute Day of Dead puppet could have just “one flower in it’s hair” or you could create a flower crown..?). Connect your knee and elbow joints together. Connect your arms and legs to your body – be sure to place these BEHIND the body, to allow for your paper puppet strings to be attached. Sew on some Baker’s Twine between the two arms – use the black points to guide you. Now repeat for the legs. Finally, connect your arms and legs with one straight piece of string – not too tight and not too loose – two tight and the legs won’t move, too loose and the arms won’t move! Our Elf Puppet Assembly video, may give you additional information if you need it! 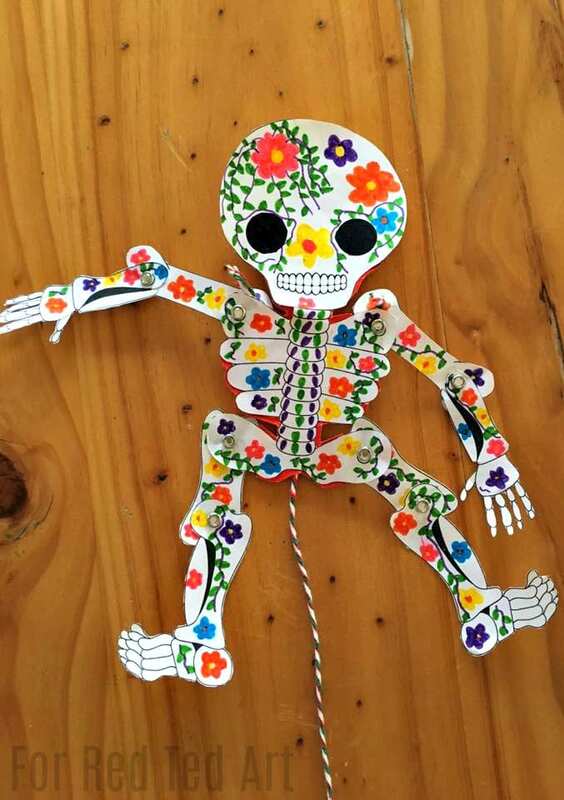 I challenged some of my fellow crafty bloggers to decorate their own Sugar Skull Puppets.. and here is what they came up with.. be sure to check out some of their own Halloween and Day of the Dead Projects Linked below! 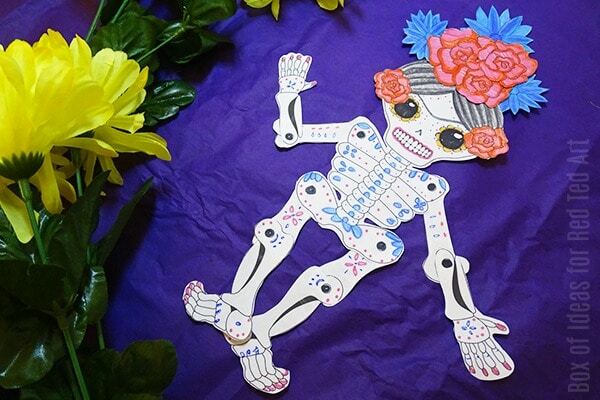 This Frida Kahlo inspired Sugar Skull paper puppet is by Box of Ideas! I love the head dress and wonderful choice of colours.. 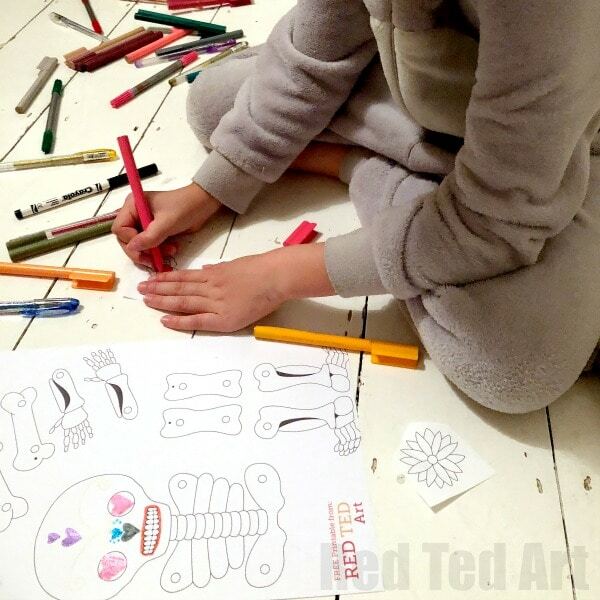 Box of Ideas has a FANTASTIC and super EASY Paper Plate Sugar Skull Activity for kids that you must check out today! 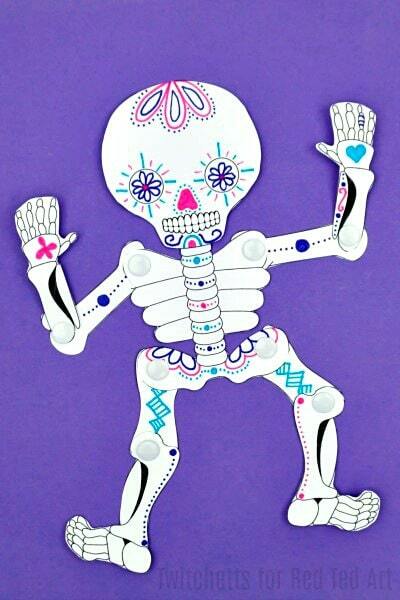 And check out the lovely Easy Peasy and Fun’s Sugar Skull Skeleton Puppet? Isn’t it fabulous. Love thos BIG EYES! Gorgeous. 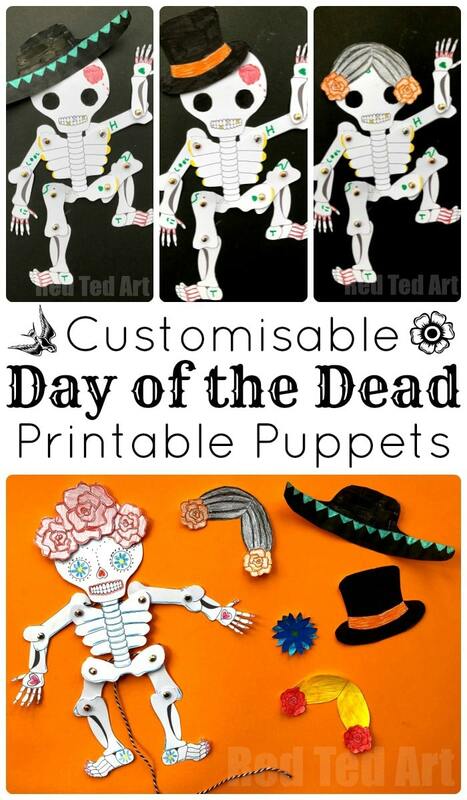 Check out the fabulous Halloween Hand Puppets to print out over on her site! 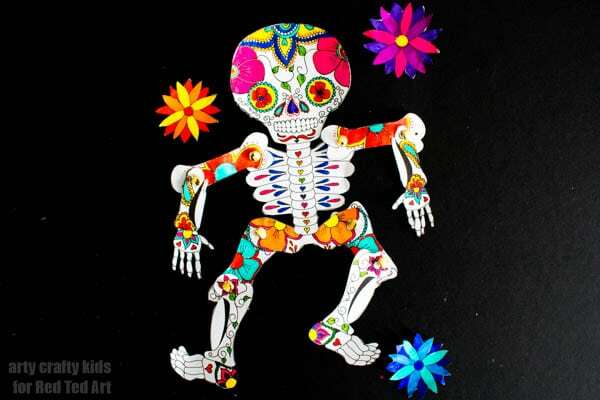 Oooh and what else but a RAINBOW Day of the Dead Puppet from the lovely hello, Wonderful? She has a fantastic Crayon Pumpkin Decoration, that would look wonderfully with this.. why not pop over adn check it out too?! 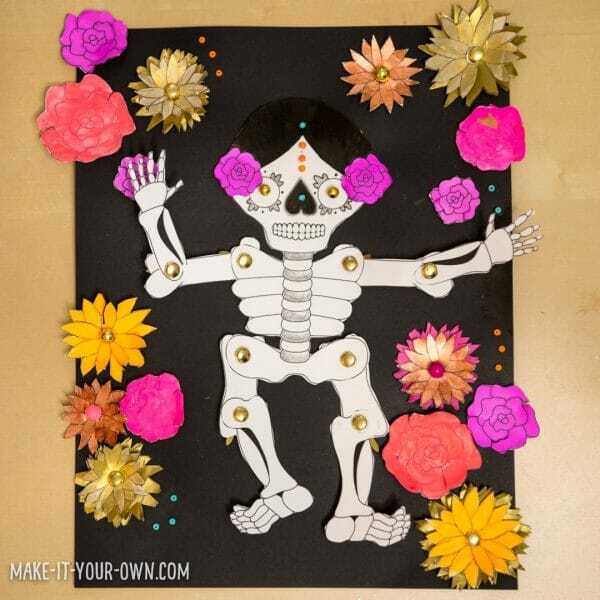 Another wonderful Day of the Dead Puppet inspiration is here from Make It You Own. Don’t stop at pencils and pens.. add beads and tissue papers. How fun! How about some fabulous FLOWER POWER from Arty Crafty Kids? I love all the bold colours. 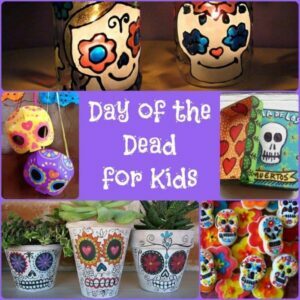 Arty Crafty Kids has some great Day of the Dead Paper Masks for you to check out today! Here is another interpretation that is “true” to the blogger’s work.. 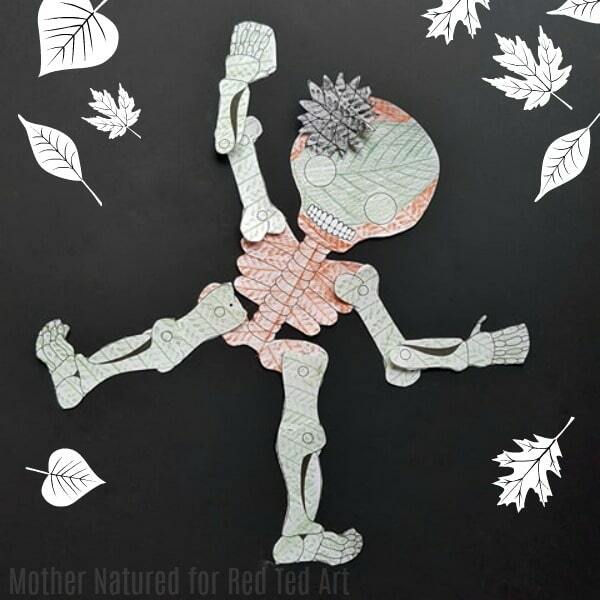 Mother Natured created a leaf relief Skeleton puppet. Leaf rubbings are great fun and really do make great patterns. 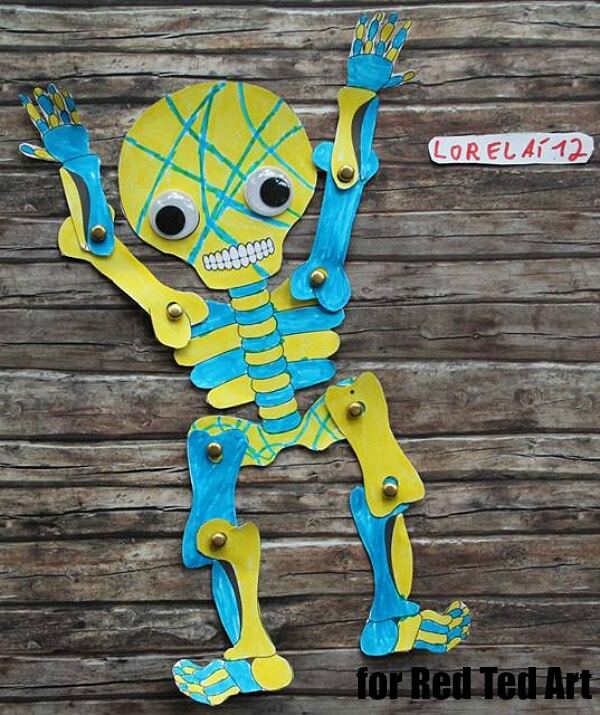 Check out the brilliang Stick Skeleton Craft over on Mother Natured today. 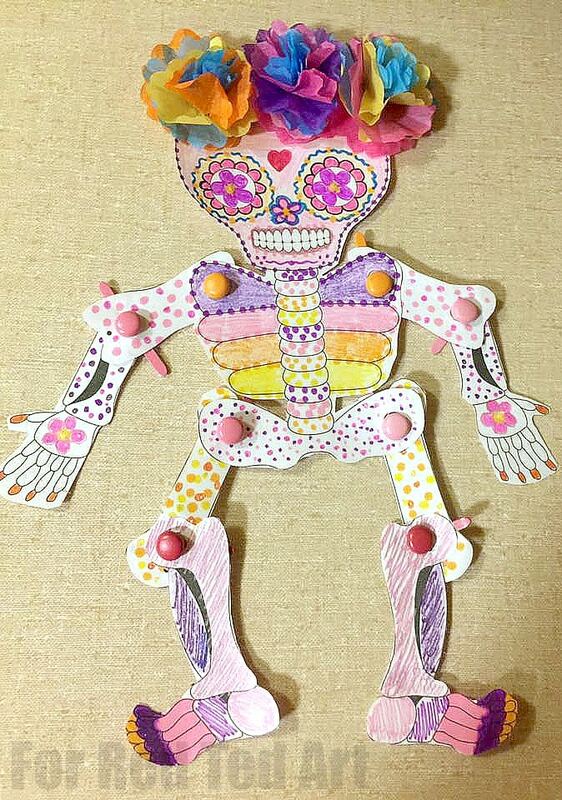 More love of puprle, pinks and blues with this lovely Sugar Skull from Twitchetts. 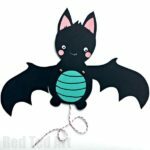 They also have a fabulous “Flying Bat” craft for kids for you to check out!!! Hop over to Twichetts now! 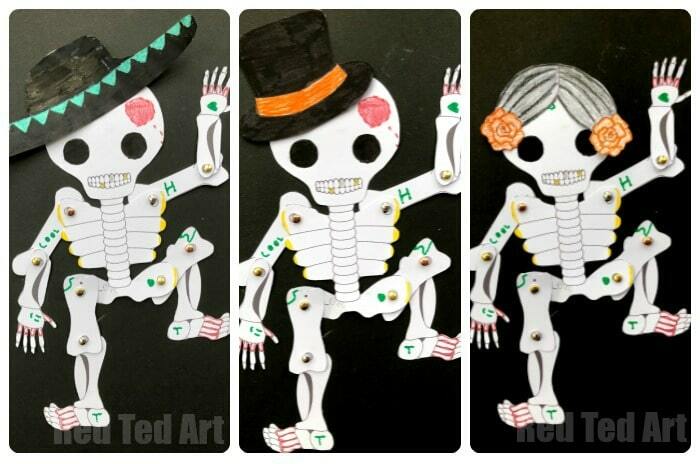 Next up we have Non Toy Gifts, that created a this oh so sweet Day of the Dead Paper Puppet! I love the little diamond details! How cute. There are lots of great Halloween ideas on Non Toy Gifts, such as their COOL Squash Monsters! 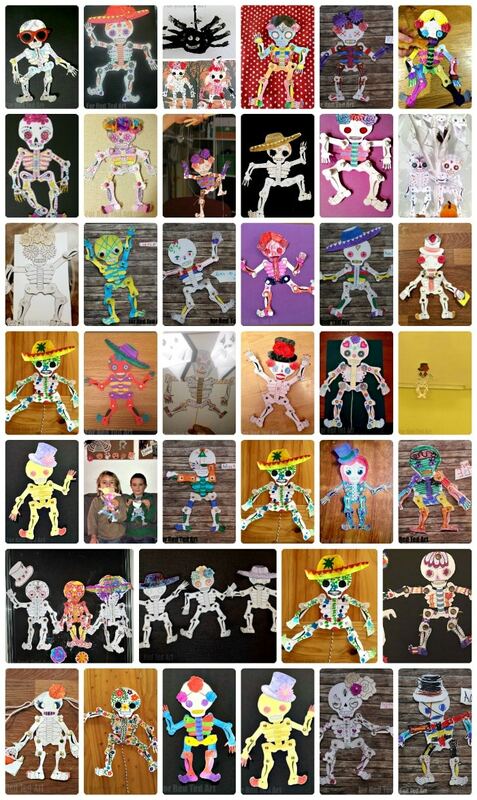 These are ALL the FABULOUS entries from the Day of the Dead Puppet competition I hosted on Facebook! Aren’t they AMAZING? The winner! Made by Eleanor aged 7. I love the hair and handbag!! What fabulous purples and reads! 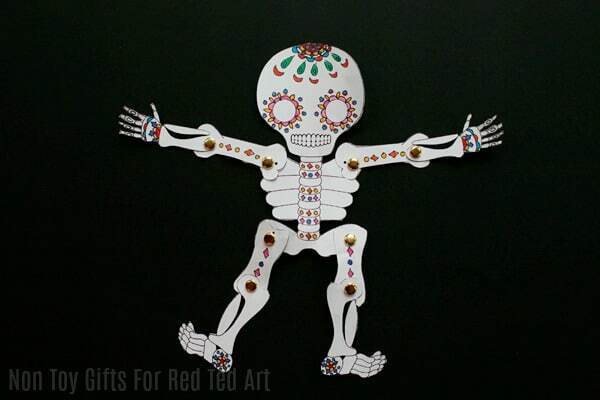 I adore that they turned this into an articulate paper puppet day of the dead craft! What a lovely addition of Tissue Paper Flowers. Really makes this Skeleton Puppet Stand out! 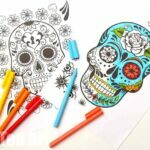 Adore the unique colours and patterns in this Day of the Dead Art! And finally – I love the flowers on this skeleton. So cute. I wish I could have shared ALL 38 entries individually.. but you can see them all in my Reader’s Gallery on Pinterest! Hi RedTedArt I just wanted to say that i wish, I Wish that i am the one that would be picked to have the RedTedArt Book, Its ok if you don’t pick me though im still your Big Fan!!!???????? I’m From Philippines! Hello! So nice to have you join in with the competition!! Good luck!